If you have not read my previous article ” Chemicals in Tobacco Cigarettes ” you can read it by clicking the link. Carbon monoxide – which can be toxic to the body at high levels – is released from burning tobacco and inhaled as part of cigarette smoke. Because carbon monoxide bonds so well to blood cells, high levels of the substance can prevent these cells from bonding with oxygen, which in turn causes serious cardiovascular problems. In just 12 hours after quitting smoking, the carbon monoxide in your body decreases to normal levels, and your blood oxygen levels increase to normal. The heart attack rate for smokers is 70 percent higher than for non-smokers. But, believe or not, just one full day after quitting smoking, your risk for heart attack will already have begun to drop. While you’re not quite out of the woods yet, you’re on your way! It may not be life-threatening, but deadened senses – specifically smell and taste – are one of the more obvious consequences of smoking. Luckily, after 48 hours without a cigarette, your nerve endings will start to re-grow, and your ability to smell and taste is enhanced. In just a little while longer, you’ll be back to appreciating the finer things in life. At this point, the nicotine will be completely out of your body. Unfortunately, that means that the symptoms of nicotine withdrawal will generally peak around this time. You may experience some physical symptoms such as headaches, nausea, or cramps in addition to the emotional symptoms mentioned in 12 Hours After You Quit. To fight the mental symptoms, reward yourself for not smoking; use the money you would have spent on cigarettes to treat yourself to something nice. After a couple of weeks, you’ll be able to exercise and perform physical activities without feeling winded and sick. This is due to a number of regenerative processes that will begin to occur in your body; your circulation will improve, and your lung function will also improve significantly. After two or three weeks without smoking, your lungs will start to feel clear, and you’ll start breathing easier. For most smokers, withdrawal symptoms disappear about two weeks after quitting. Starting about a month after you quit, your lungs begin to regenerate. Inside them, the cilia – the tiny hair-like organelles that push mucus out – will start to repair themselves and function properly again. With the cilia now able to do their job, they will help to reduce your risk of infection. With properly functioning lungs, your coughing and shortness of breath will continue to decrease dramatically. 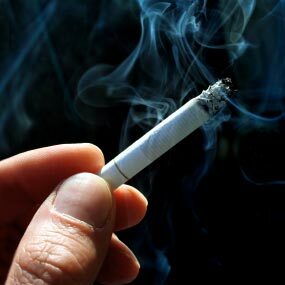 Even for the heaviest smokers, withdrawal symptoms will go away no more than several months after quitting. The one year mark is a big one. After a year without smoking, your risk for heart disease is lowered by 50 percent compared to when you were still smoking. Another way to look at it is that a smoker is more than twice as likely as you are to have any type of heart disease. A number of the substances released in the burning of tobacco – carbon monoxide chief among them – cause your blood vessels to narrow, which increases your risk of having a stroke. After 5 to 15 years of being smoke-free, your risk of having a stroke is the same as someone who doesn’t smoke. Smokers are at higher risk than non-smokers for a daunting list of cancers, with lung cancer being the most common and one of the most dangerous. Smoking accounts for 90 percent of lung cancer deaths worldwide. It’ll take 10 years, but if you quit, eventually your risk of dying from lung cancer will drop to half that of a smoker’s. Ten years after quitting, your risk of cancer of the mouth, throat, esophagus, bladder, kidney, and pancreas also decreases. Fifteen years of non-smoking will bring your risk of heart disease back to the same level as someone who doesn’t smoke. You’ll no longer be at a higher-than-normal risk for a wide range of conditions like heart attack, coronary artery disease, arrhythmias, angina, infections of the heart, or conditions that affect your heart’s beating rhythms. The long-term benefits of quitting smoking are fantastic. 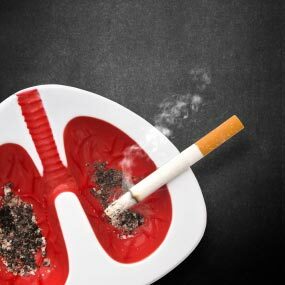 According to the American Heart Association, non-smokers, on average, live 14 years longer than smokers. Quit today, and you’ll extend your life span and live those extra years with a functional cardiovascular system, while being active and feeling great.